There are four payment plugins. The offline ones are used to allow payment by cheque for example or CB. You can decide to pay by Paybox or Paypal too. You can configure each details and options plugins. 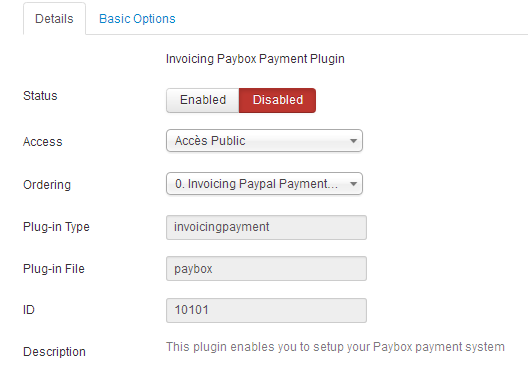 You must fill the "Basic Options" and publish them to be able to use Paybox and Paypal Plugins. 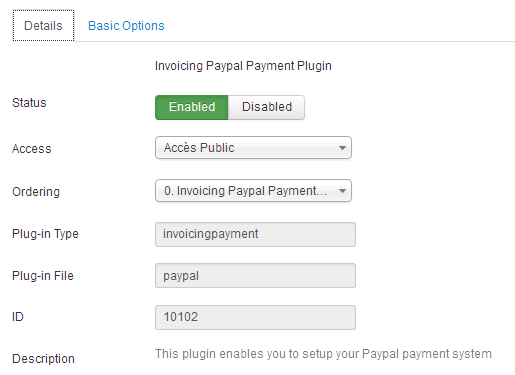 You can activate or disable each payment system by publish and unpublish it. Status : You can enable or disable the plugin by swtiching here. Plug-in Type : Not editable. Gives you information about the type of plugin your are modifying the options. Plug-in File : Not editable. Gives you the file concerned by the plugin. ID : No editable. Displays the ID. Description : Explains what this plugin is for. 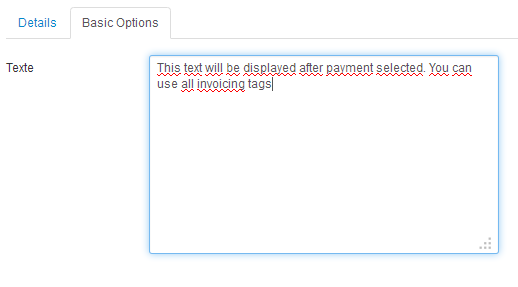 Text : The text you want to display to your customers just before you allow them to use this plugin, could be "Cheque Payment" for example. 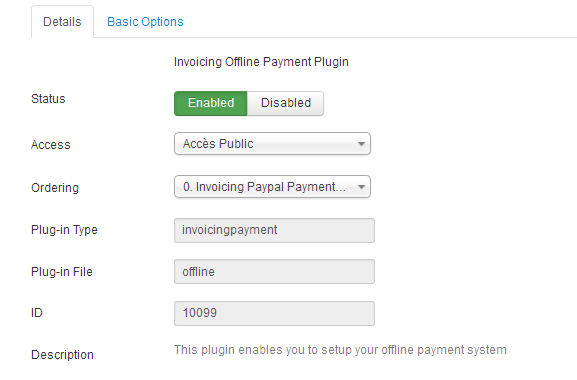 You have two different offlines plugin name Offline and Offline 2. Details options are already detailed above. 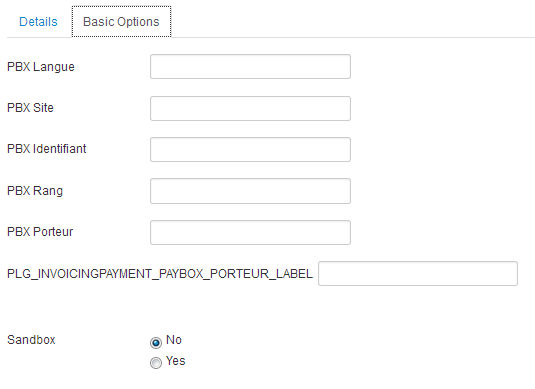 Basic options for Paybox, they all are given to you by Paybox if you had submitted a Paybox account. Same as PayBox. 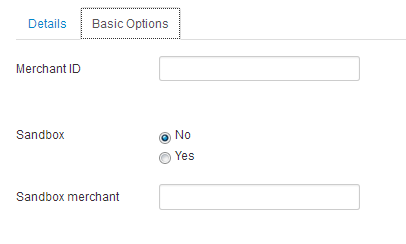 You can find basic options in your Paypal account.